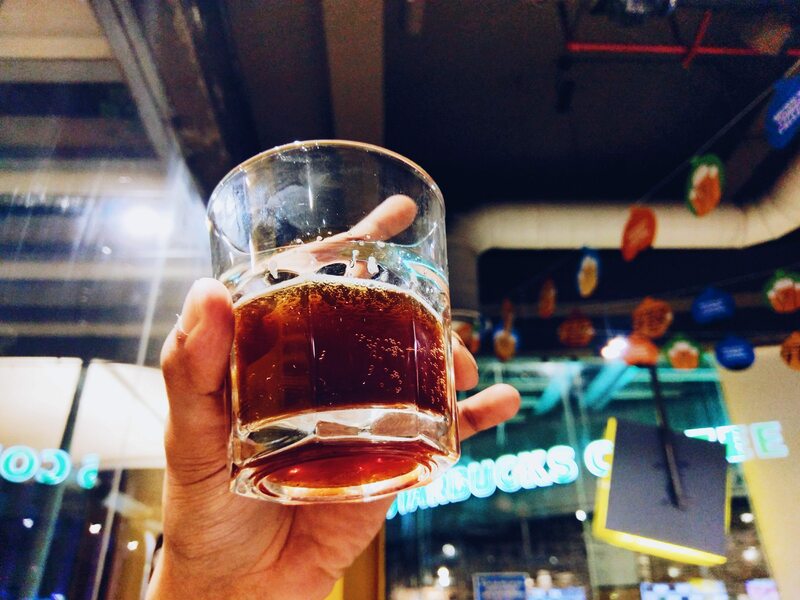 At the outset, bitter beer is an acquired taste. 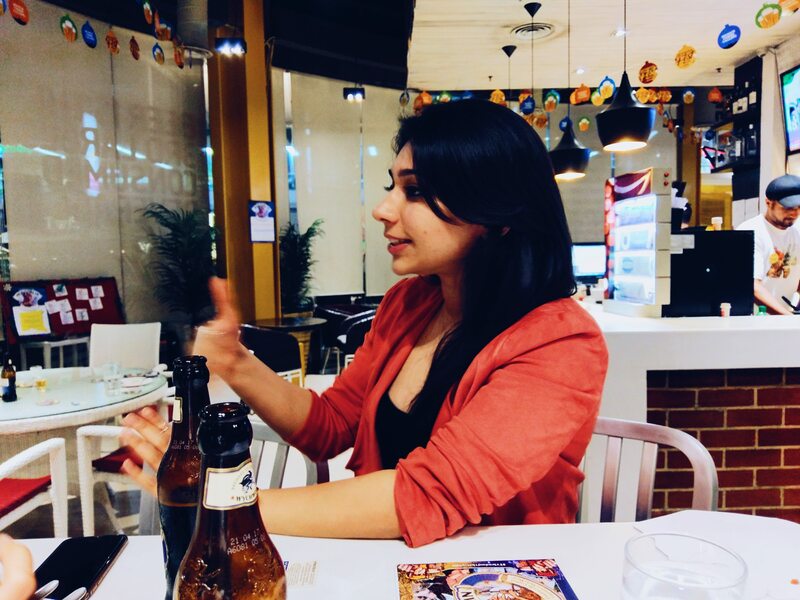 When most of the Indian alcohol market is dominated by “golden beer”, questions about new beer brands can range from, “But why is this beer not yellow?” to “Why is this called Ruby?” No question is stupid, especially when it is the predominantly golden-beer-drinking-customer who is asking that question. They might be open to trying new beer! After all, beer lovers love beer as long as it is chilled! I definitely fall in that category. 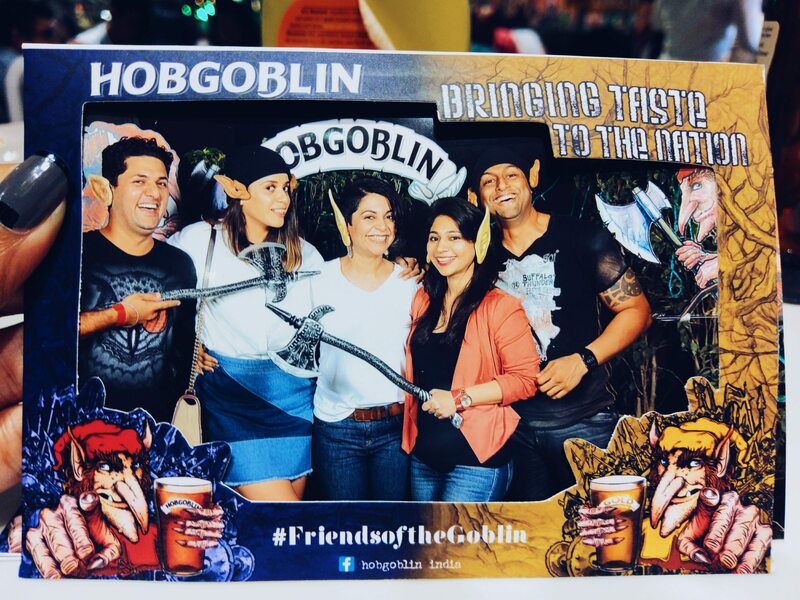 When Karina Aggarwal invited us to the Hobgoblin Beer party / launch at The Beer Cafe at Cyber Hub in Gurgaon, the main reason we wanted to go was to drink beer. 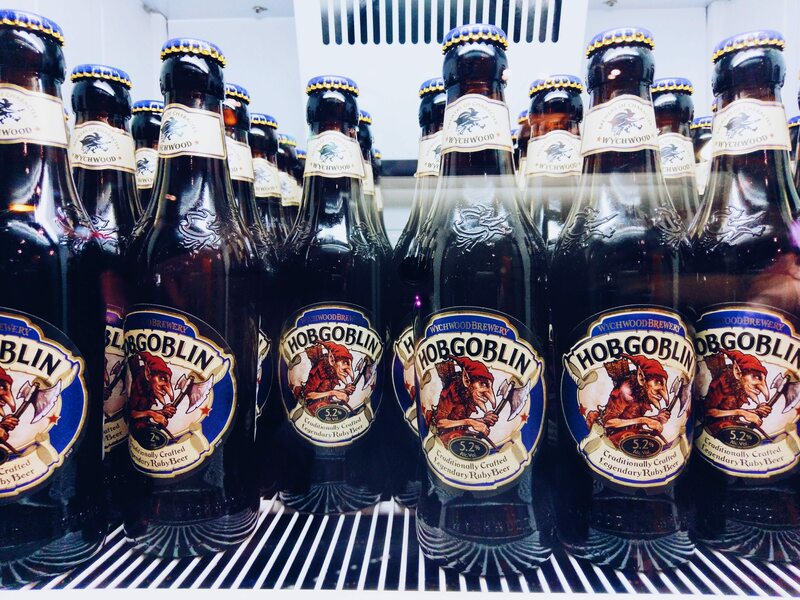 Especially one with an intriguing brand name like “Hobgoblin”. 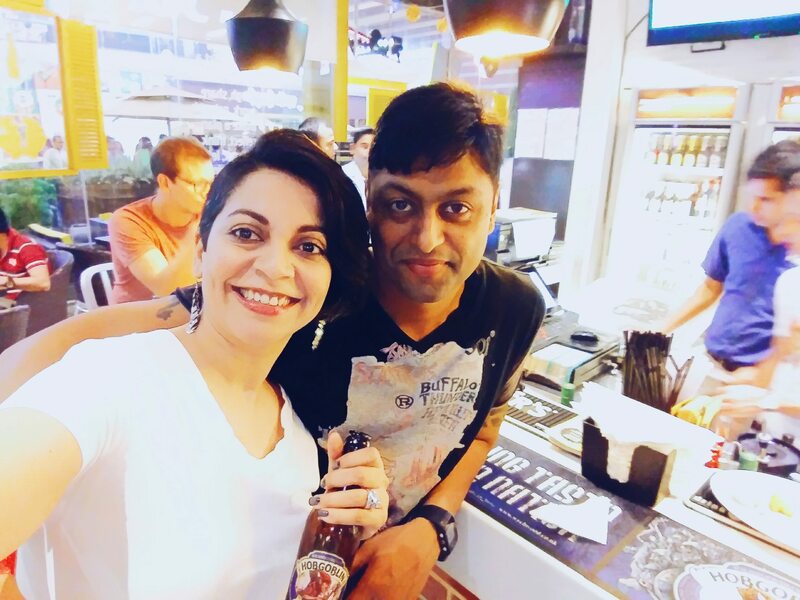 Bharat doesn’t drink alcohol but I love beer and I also wanted to go because if there’s someone I’d listen to talking about alcohol, I’d rather it was Karina! 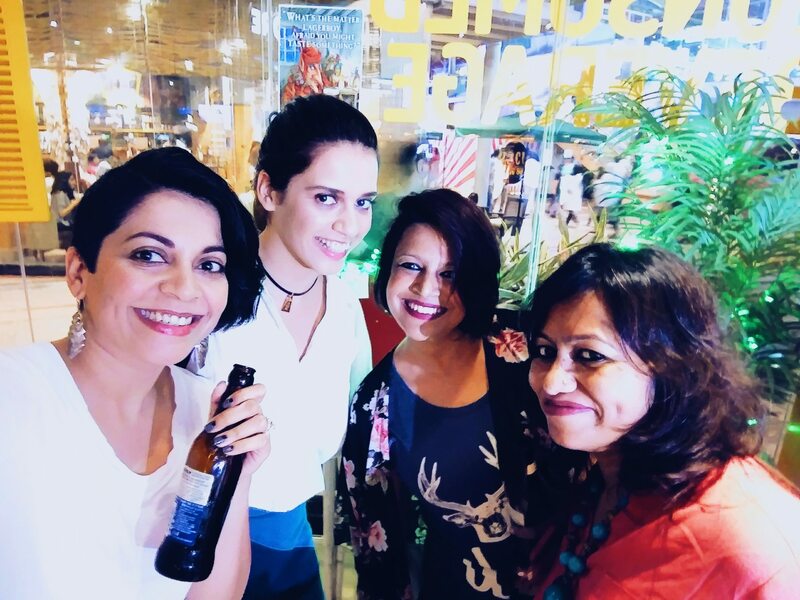 Her sweet demeanor and petite stature regularly misleads people from the fact that she is a powerhouse in the liquor industry in India. 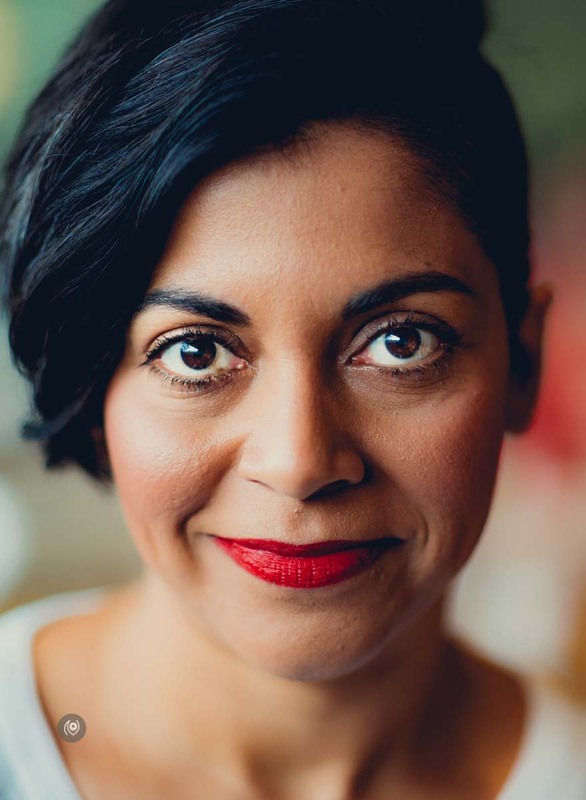 I’m always happy to learn a thing or two about beer and it was great to have her around answering questions about the brand and the beer itself. I’m not a huge fan of bitter beers but this one grew on me. It started out as expected – sharp and bitter in the first sip – leaving me wondering where the “chocolate” and the “toffee” mentioned on the label were to be found. But after half-a-dozen sips, it got better. By the second bottle, it was almost sweet to taste! And I could detect hints of the taste that could possibly be the chocolate and toffee. 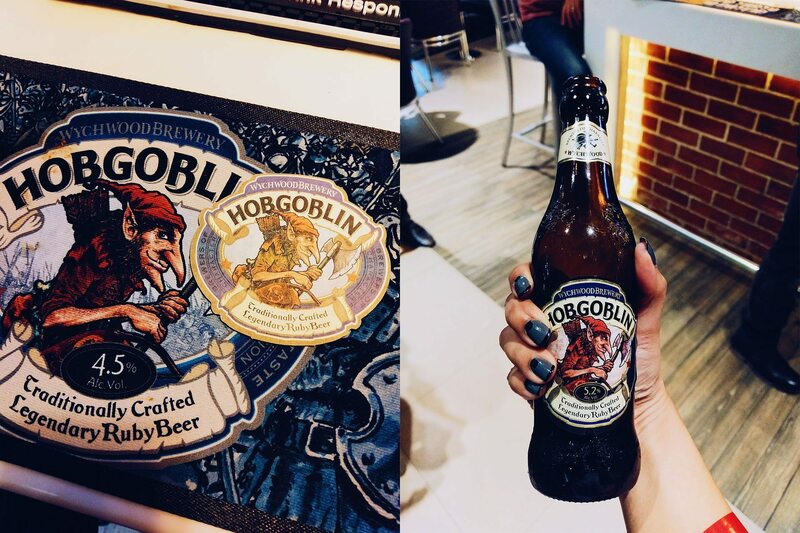 Hobgoblin is a full-bodied, smooth, bitter beer that grows on you as you drink more. It will be retailing at approximately Rs. 200 per pint at the local alcohol stores in Gurgaon. The “Legendary Ruby Beer” is produced by the Wychwood Brewery. Traditionally craft brewed with Chocolate and Crystal malts and a blend of Styrian, Goldings and Fuggles hops to produce a full-bodied, Ruby beer that delivers a delicious chocolate toffee malt flavour, balanced with a rounded moderate bitterness and an overall fruity, mischievous character. 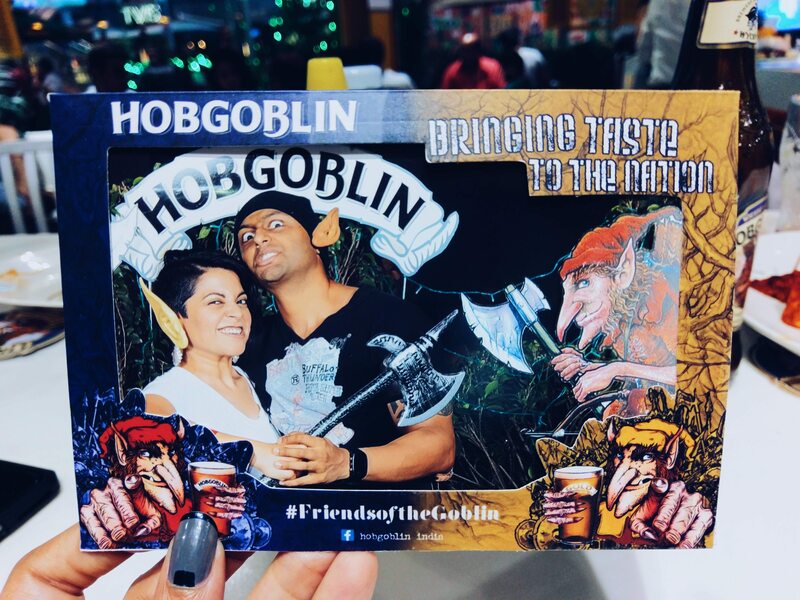 It was a fun evening – there was a photo booth where you could have your photograph taken wearing Goblin ears and carrying rubber axes. And there was food of course. Just outside The Beer Cafe, UBER has set up a stand where you can test your own breath at the freely provided breathalyzer as you step out of the restaurant. Neat thing to do! Met some of the usual suspects and made some new friends too! 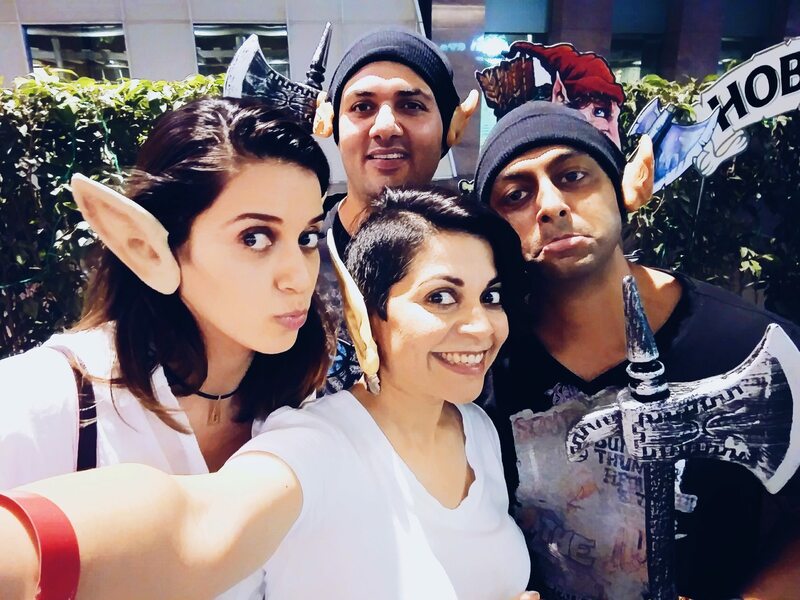 Welcome to India Hobgoblin! 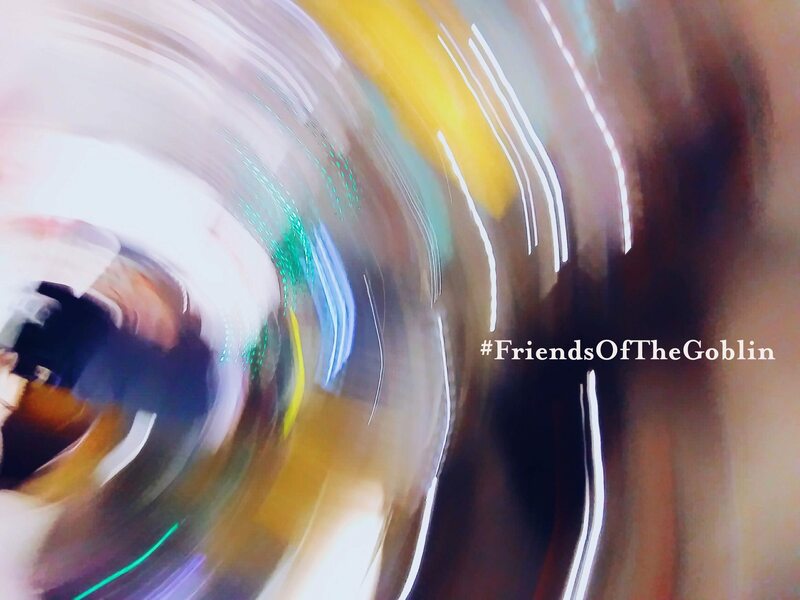 I’m definitely in the #FriendsOfTheGoblin category. Cheers!